New Horizon’s Speed. This video was created by Google product developer Clay Bavor, puts our measly airplane speeds into perspective compared to NASA’s New Horizons probe, which just completed a speedy flyby of Pluto. The 747 travels at a speed of 885 km/h (550 mph), the Blackbird can reach a top speed of 4,345 km/h (2,700 mph) while New Horizons is currently moving at a staggering 57,936 km/h (36,000 mph). NASA’s New Horizons probe started its fantastic voyage of exploration on January 19, 2006, aboard an Atlas V rocket. directly into an Earth-and-solar-escape trajectory with a speed of about 16.26 km/s (10.10 mi/s; 58,500 km/h; 36,400 mph). It was the fastest man-made object ever launched from Earth. It swung past Jupiter for a gravity boost and scientific studies in February 2007 which increased New Horizons’ speed, and conducted a six-month-long reconnaissance flyby study of Pluto and its moons in summer 2015, culminating with Pluto closest approach on July 14, 2015. 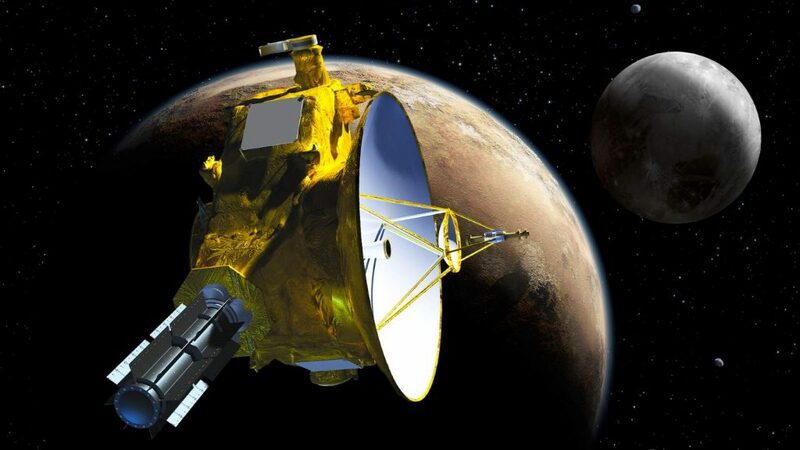 However, New Horizons is not the fastest spacecraft to leave the Solar System. As of January 2018, this record is held by Voyager 1, traveling at 16.985 km/s (61,146 km/h; 37,994 mph) relative to the Sun. Voyager 1 attained greater hyperbolic excess velocity than New Horizons thanks to gravity assists by both Jupiter and Saturn. After completing Pluto flyby, it made a total of four trajectory changes in October and November 2015 to place itself on a course towards Ultima Thule, a trans-Neptunian object located in the Kuiper belt. The Ultima Thule flyby occurred on January 1, 2019, when the spacecraft was 43.4 AU from the Sun.